JASPER -- The Jasper Miss Strassenfest Scholarship Pageant will be held Saturday, July 28 at 7 pm in conjunction with the Jr. Miss and the Little Miss and Little Mister Strassenfest pageants in addition to celebrating the past 40 years of royalty where many of the past royalty will join us on stage. The venue is Redemption Christian Church located at 1450 Energy Drive which will hold over 1,000 seats for the public to attend. Tickets will be available at the door for $5. 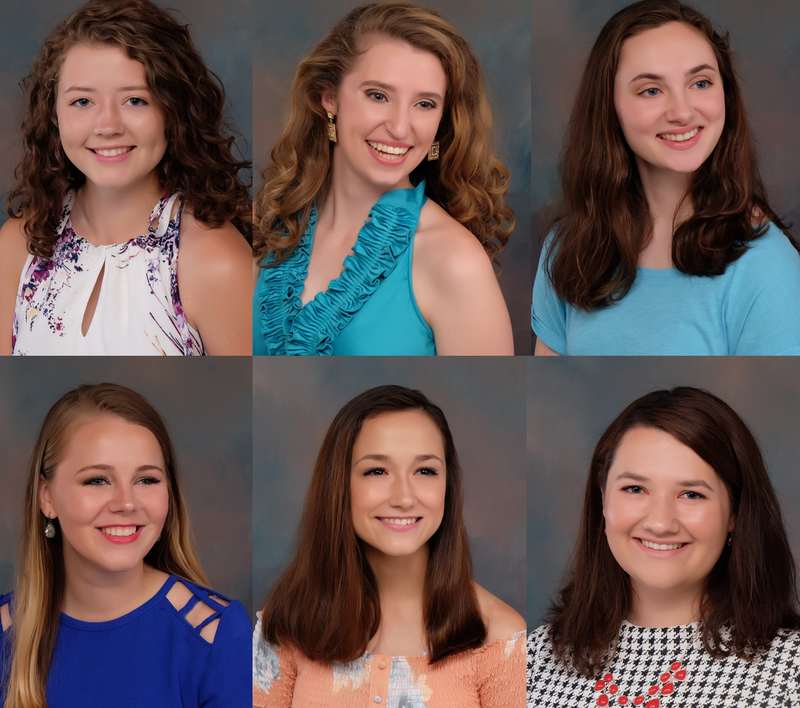 This year, six contestants will be vying for the title of Miss Strassenfest. Brooklyn Thrasher is the daughter of Bill and Christy Thrasher. She will be a senior at Jasper High School. She volunteered with the First Baptist Church for her community service project. Hannah Rydberg is the daughter of Bryan and Janet Rydberg. She attends the University of Wisconsin Milwaukee majoring in Film and Marketing. For her community service project she volunteered at Community Meals. Hilary Bauer is the daughter of Ken Bauer and the late Sheri Bauer. She attends the University of Indianapolis where she is majoring in Communications and Political Science. For her community service project she volunteered at the Community CHEW (Child Hunger Ending Workshop). Melanie Patterson is the daughter of Darren and Dr. Ann Patterson. She will be attending Indiana University where she will be majoring in Theatre and Drama. For her community service project she volunteered at Holy Family Vacation Bible School. Taylor Mitchell is the daughter of Adam and Kim Mitchell. She will be a senior at Jasper High School. For her community service project she volunteered at Cathedral Health Care Center.